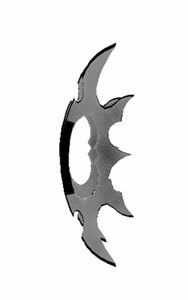 Below are many free models. They are in no particular order. All files are complete with textures and in a zip file. To download click on the download button. There is no support for the models, and are give as is. Kayaks: 4 different colored Kayaks with 2 male and 2 female avatars in them. 7 special sequences, including tip-over. Sample avatar.dat file included. 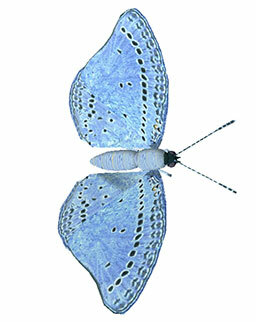 Butterfly Avatars: Very detailed blue butterfly avatar with 3 special sequences. 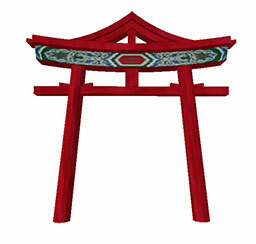 It is large enough to be modified to carry an human avatar of your choice. Mushroom Avatars: Originally designed for the Fantasy Mushroom Village. A set of large and regular Avatars, male and female, 4 total. With 7 special sequences. Flower Avatars: Originally designed for the Fantasy Mushroom Village. Only half price when purchased with it. 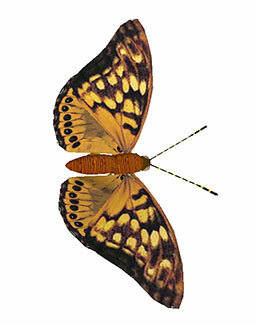 Each comes as a pair (small and large). 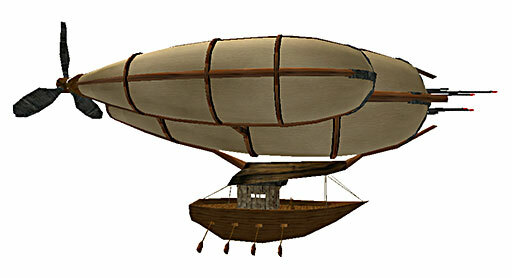 Airship: I tAn airship with 3 air containers. The onboard cabin was way too small and the inside was not open. The whole ship was retextured with some new textures or the old one modified. I also thought it would be neat to make a bot fly it around the world with the props turning. So here it is with a few special sequences, including a bullet shooting sequence. Nutcrackers: They come in 4 colors, with and without lance. There are two color versions made as avatars and so can walk around your world. Motorbikes: The zip files includes the bike1.awe preset file. Just load it into your C:\Active Worlds\Presets folder. 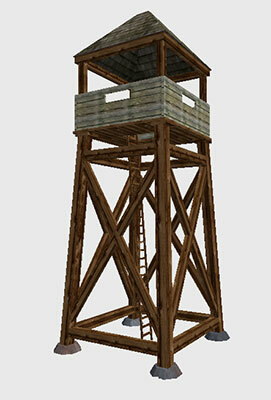 Roman Tower: Just a wooden Roman Watchtower. 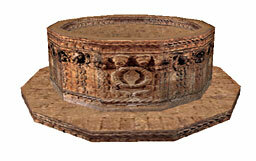 Pond Set: They are a really nice set for a pond with an updated texture. The water is collision off and has been tag 200 for any texture or picture to be placed on it. 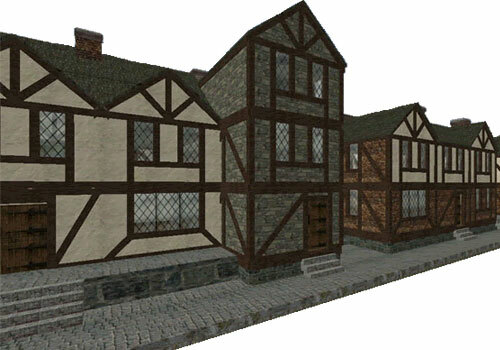 The outside texture is terrain0 and is not included, so that the set will match up to any world terrain. This is how I use them in Mythopia. Two textures are included. Pond set only, other pieces are for illustration only. Jetboat: Its very low poly, so enjoy the ride. It comes with presets for the mover and a steering sequence too. Load the boat.awe file into your C:\Active Worlds\Presets folder. When opening the mover build tab in the browser, look for the preset and locate the boat preset, then click load. 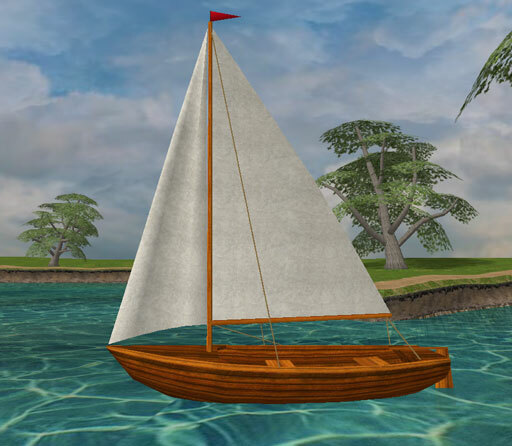 Sailboat: A nice simple sailboat. I did not detail hits too much to prevent lag. Brit Build Set: Keshi took it upon herself to make them as good as any purchased models out there. She resized the pieces so that there are no overlaps and no flashing, and the wood pieces so that there are no gaps. She has added some more wall pieces for extra flexibility. There are 3 tags on each wall now, tag 102 for the wood, tag 101 for the inside wall and tag 200 for the outside wall. 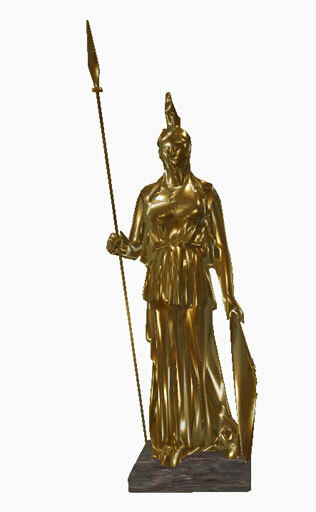 Athena: Golden Athena Statue with texture. 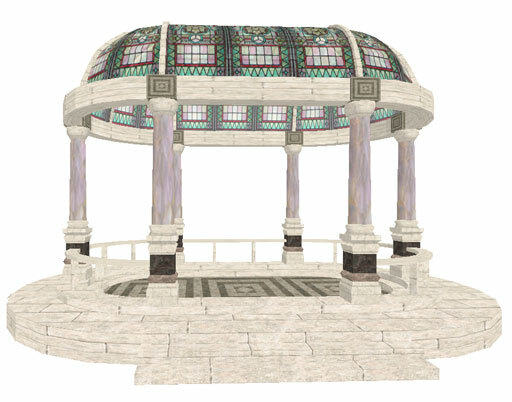 Gazebo: A light colored gazebo. 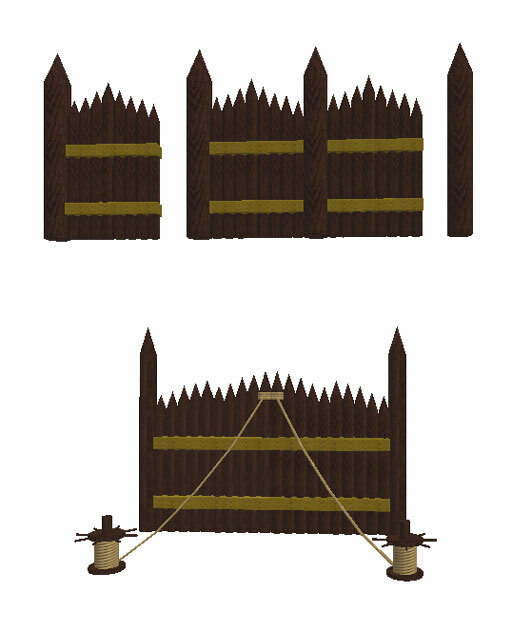 Wooden Gates:: Wooden gate and ropes and a fence piece. 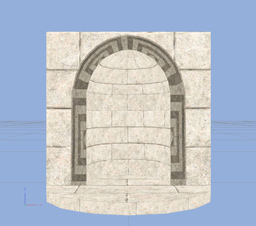 Wells: These are round wells with water of medieval design, and are available in 2 texture designs. Shields: 19 quality low poly shields. 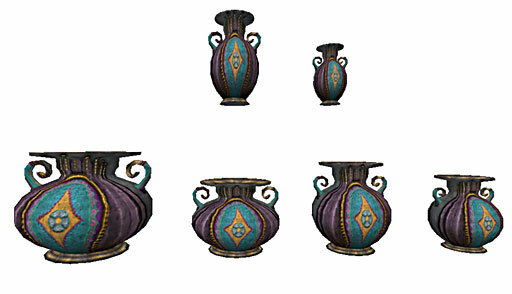 Vases: Several low poly vases with many textures. 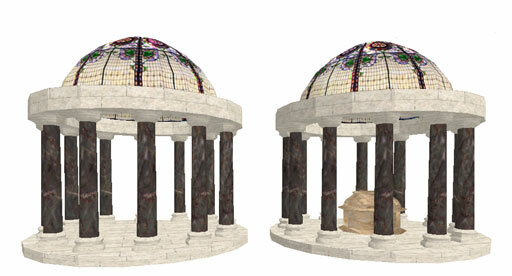 Alcove: Alcove and small gazebo. 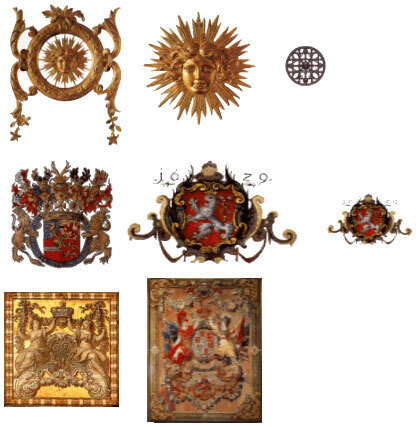 Coat of Arms: Many British coat of Arms from the 18th century. Small Crypt: A gazebo with a casket in center. You may use any of my free models anywhere, anytime. You may retexture them, but not change the geometry without permission. They may not be used in commercial application without consent from me. You may give them to anyone freely provided that that person that receives them is aware of the requirements.